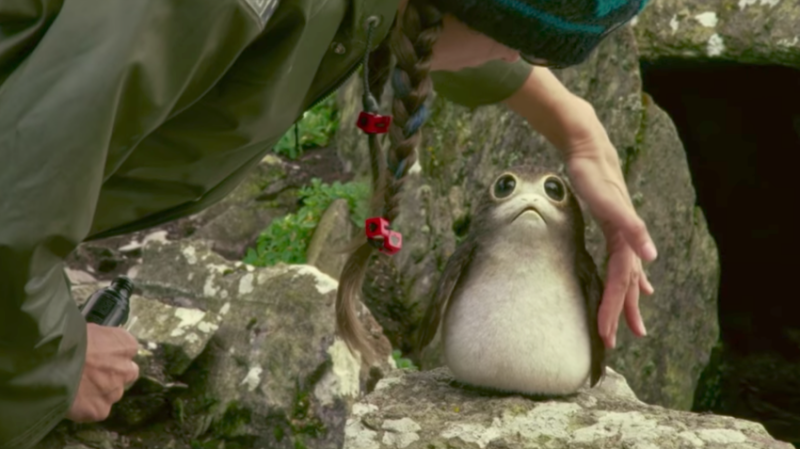 Today, Rian Johnson explained that a group of porgs—the adorably grumpy creatures from Star Wars: The Last Jedi that are rapidly becoming overexposed—is called a “murder,” like with crows. That is boring. We know you can do better. The one I came up with is based on the downturned mouth characteristic of the porgs: a frown. A frown of porgs is a lot more fun than a murder. Another good name we came up with was “an infinity of tribbles.” One tribble is also an infinity of tribbles. So, go wild in the comments and tell us your best names. Names better than “pack” or “group” or whatever. What’s a lot of sandworms? If you happen upon more than one bandersnatch, what would you say you saw? How about some xenomorphs?